>My sister’s dog, Bella, had a growth removed from her chest. Instead of one of those cone things, they made the dog wear this t-shirt. 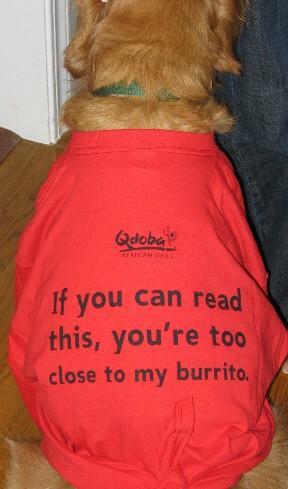 Whatever you do, don’t touch her burrito.